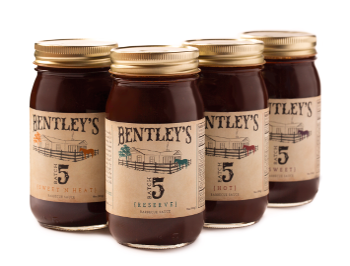 Bentley’s Batch 5, is a small family-owned, Dallas company dedicated to producing amazing Barbecue Sauces and Bloody Mary Mixes. 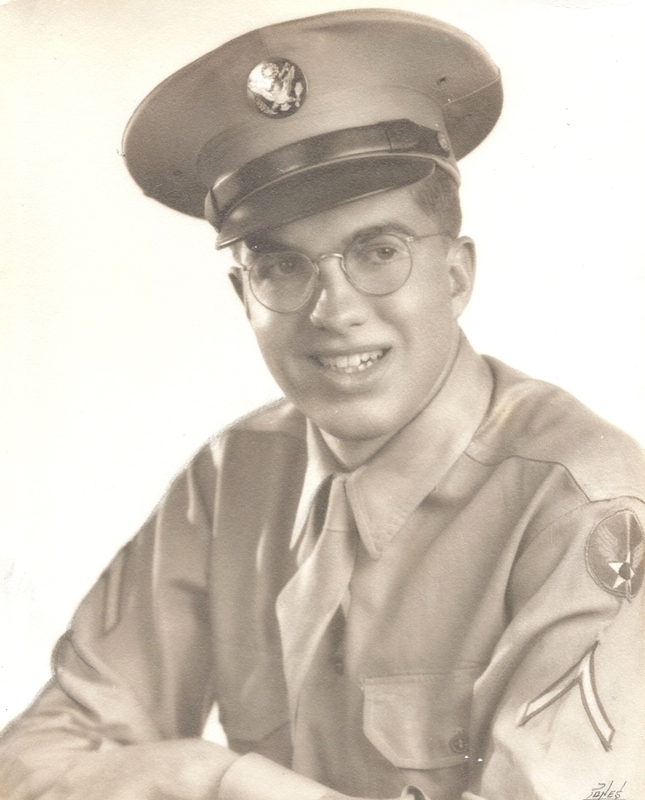 Our sauce has been a family tradition since 1954 when my Dad started making his secret recipe. Our unique Worcestershire-based barbecue sauces are totally different from the typical tomato-based barbecue sauces you usually find in stores. 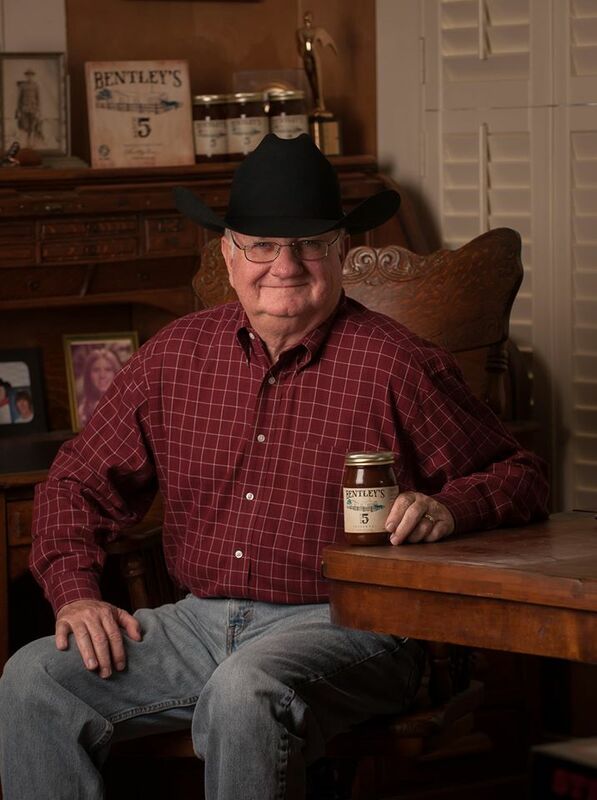 Our bold recipe includes bits of fresh tomatoes, onions and peppers that my Dad added to his sauce to heighten the flavor and texture, transforming the everyday meal into real Texas barbecue. The number one selling barbecue sauces at the State Fair of Texas in 2015, 2016, 2017 and 2018. 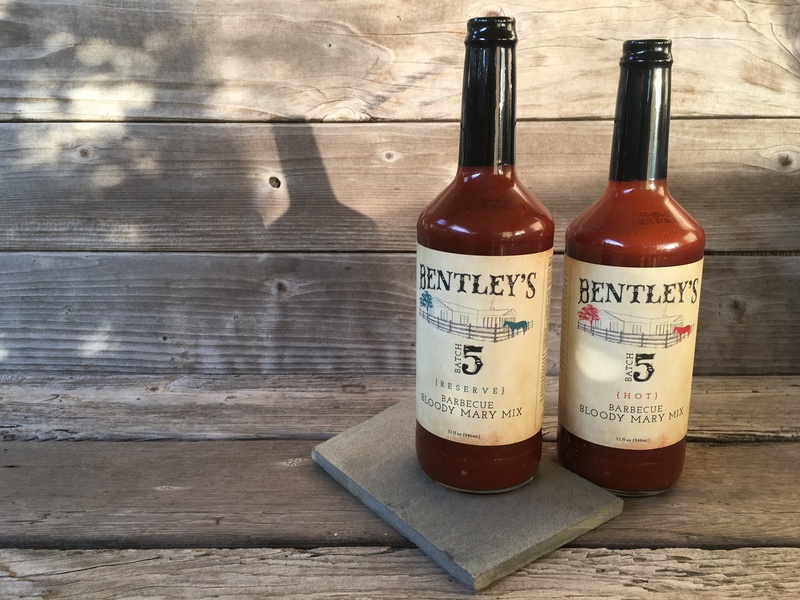 Our two Bentley’s Batch 5 Barbecue Bloody Mary Mixes are uniquely made from my Dad’s Reserve and Hot Barbecue Sauces which are both Worcestershire based and not tomato based barbecue sauces. After we started selling Dad’s barbecue sauces people kept telling us they would be great in a Bloody Mary. Well we came up with a recipe for our webpage that proved to be so popular that we decided to make our own Bloody Mary Mix. They are zesty, bold and tangy with very small bits of tomato, onion and pepper that really heighten their flavor. Our Reserve and our Hot Barbecue Bloody Mary Mixes pair perfectly with Vodka & Tequila and they are great by themselves or with a beer to make a unique Texas Michelada. The number one selling Bloody Mary and Cocktail mixes sold in the State Fair of Texas in 2016, 2017 and 2018. Bentley’s Batch 5 Hot Barbecue Bloody Mix was named the 2018 Champion of the Bloody Mary Division at the World Hot Sauce Awards. 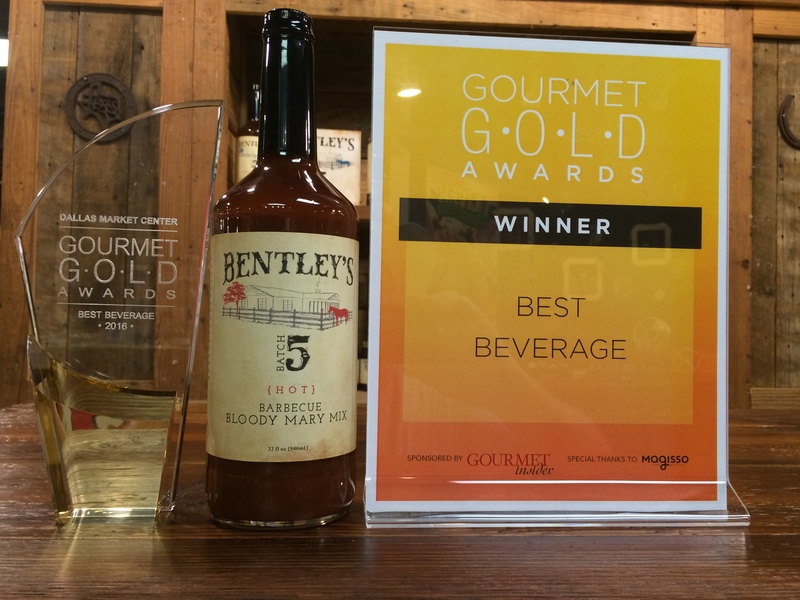 Our Hot Barbecue Bloody Mary Mix also won the Gourmet Gold Award as the “Best Beverage” at the June, 2016 Gourmet Market at the World Trade Center in Dallas. We started selling Bentley’s Batch 5 on May 7, 2014 through specialty retail outlets that carry high-end products. After our first year of operation, we were in 32 cities and 79 retailers. Our Barbecue Sauces and Bloody Mary mixes are now sold in 26 states, and around 200 stores in the US and Canada. If you have a favorite store that you’d like to carry Bentley’s Batch 5, let us know and we’ll see what we can do. And if you’re a retailer wanting to carry Bentley’s Batch 5 Barbecue Sauces or our Barbecue Bloody Mary Mixes just give us a call at 214.821.3000. Make sure you check out our blog for barbecue and wine tips and pairings, our trips to wineries and great barbecue places. Also check out our recipe section for some great recipes and if you have one using Bentley’s Batch 5 send it to us and we’ll add it under your name. Growing up in Texas, I loved to watch my Dad make his secret BBQ sauce. 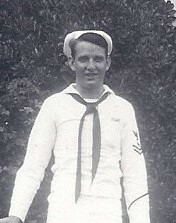 When I graduated college he showed me how to make it, and I’ve been fixing it for friends and family ever since. They encouraged me to bottle his sauce, but to do that I needed a recipe. Well Dad and I never wrote one down; we just made it by taste! It took five tries to get it exactly right, and I know Dad would say my Batch 5 is the perfect sauce. I’m proud to share our sauces with you … as proud as that first time my Dad shared his secret with me. My wife’s family came to Texas with Stephen F. Austin and his first 300 settlers in 1822. The house pictured on our label is between Waller and Hempstead, Texas and was built by my wife’s grandfather in the 1960s. I’ve made a lot of sauce during visits to the ranch for friends and family. I thought it was fitting to honor my wife’s family and their Texas heritage by putting the ranch house on our label. And I’m still making Bentley’s Batch 5 for our family outings at the ranch. And it was great that one of our horses just walked up to the fence when we were taking pictures for the label, and since she’s a family pet, we left her on our label. My middle name is Bentley. 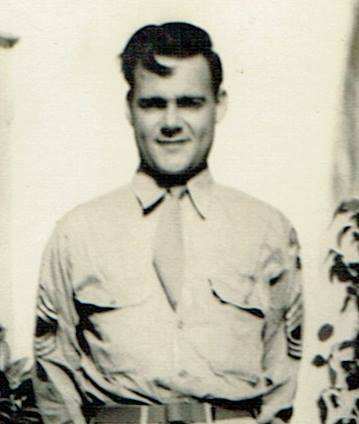 It was also the middle name for my Grandfather Green and my Dad’s brother as well as the middle name for my mother’s brother. Bentley has been a middle name in both of my parent’s families for generations. So we decided that our oldest son should carry on the family tradition of having Bentley as his middle name. And we were excited when his son was also given Bentley as a middle name. 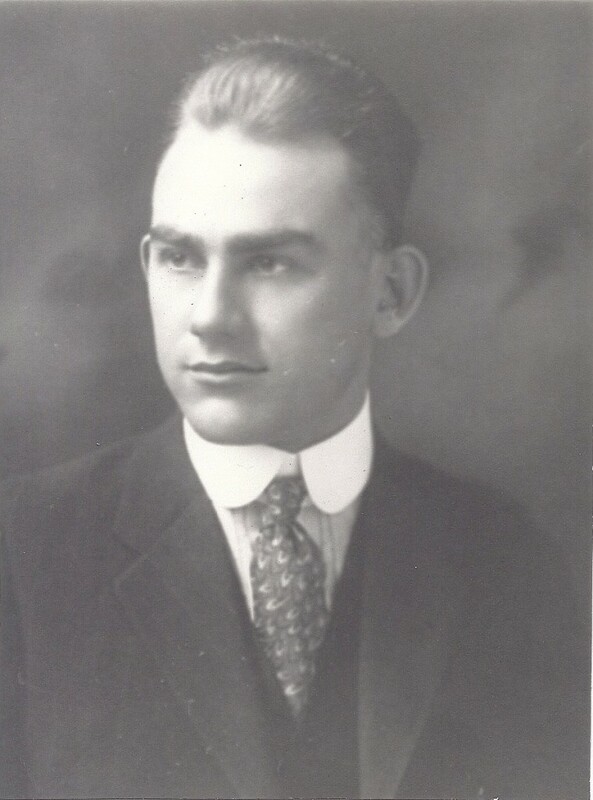 With so many Bentley’s in the family, we felt our company should be named after a family tradition that we hope will be carried on for generations to come. If you have any questions, please feel free to contact us by email via the form below or call us at 214.821.3000!